Terraced House For Sale in Stockport for Asking Price £130,000. !!! INVESTORS TAKE NOTE !!! FANTASTIC RENTAL OPPORTUNITY !!! SHOP CURRENTLY RENTED !!! 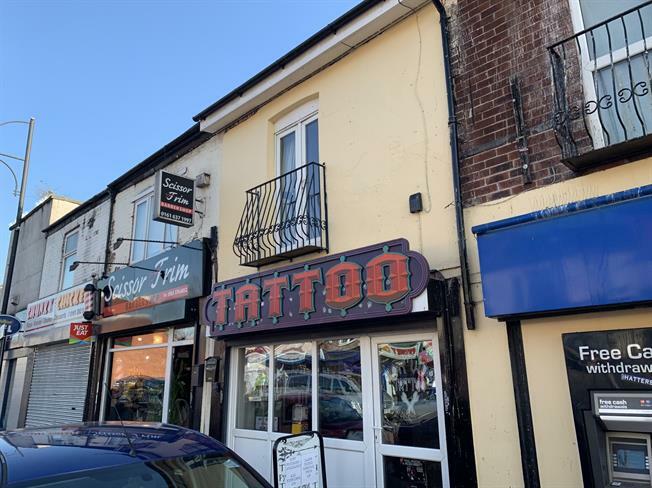 This semi commercial property already has long established tenants in premises , including the upstairs one bedroom flat which could easily rent at 550 per month. The retail unit asks a rental income of 500 per month. The flat comprises of living room , kitchen , shower room , and double bedroom. Call the office to arrange your accompanied viewing today.